Check out who you'll want to make a beeline for at the November 1 show! 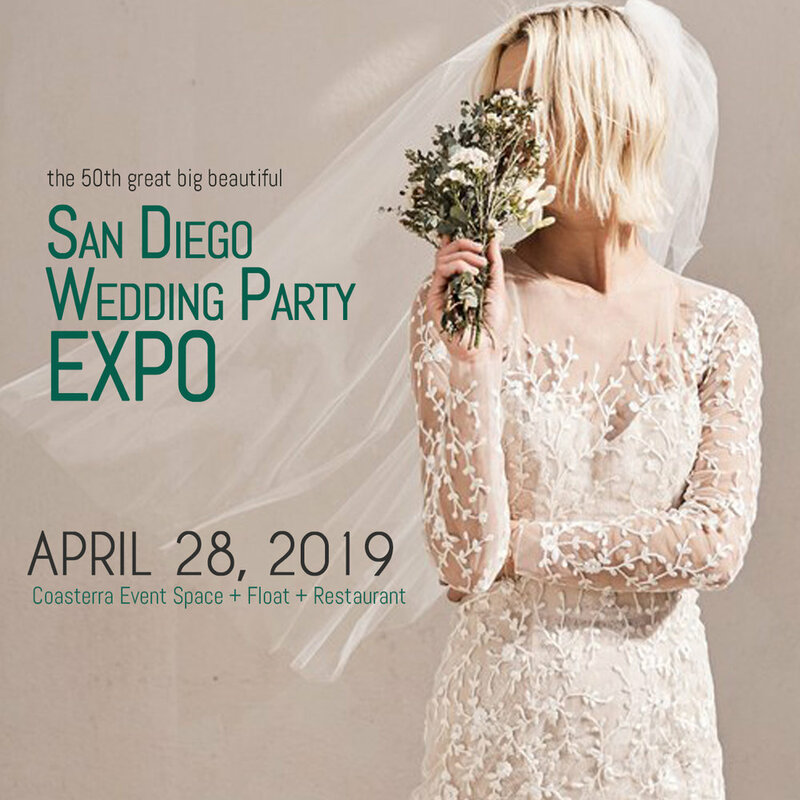 There's so much to love at the Wedding Party EXPO! You and your honey can enjoy all the amazing food at the show like Eco Caters serving delicious [and generous!] amounts of food and much more to fill your tummy! And out hosts The Marriott Marquis San Diego Harbor serving cake and other goodies! You bring your true love, family or friends and we'll bring the napkins! Be sure to taste all the sweets and cakes and cookies and delicious desserts by sweet tooth specialists Mallow Mallow S'Mores, Chocolate University by Euro Pastry and more! The Wedding Party isn't complete without a trendy cocktail or two to enjoy as you check out all the amazing wedding ideas and stuff! Snake Oil Cocktail Company will be serving up delicious mocktails - they're the friendliest bunch of drink experts we've ever met so be sure to make your way to the bar! There's more where this came from so stay tuned and be sure to follow us on Facebook, Instagram, Pinterest, Twitter and YouTube!